At least three police officers and a civilian were killed in a shootout between armed attackers and police responding to a distress call at the office of President Enrique Pena Nieto’s party in the State of Mexico. The shocking attack was captured on video. The violent scenes took place after the gunmen attempted to raid the office of Institutional Revolutionary Party (PRI) in the municipality of Netzahualcoyotl, to the northeast of Mexico City. The incident occurred around 10:30am Friday during a training administered for several party members, Ernesto Nemer Alvarez, a campaign coordinator for PRI governor candidate Alfredo del Mazo, said, as reported by El Universal. ìAccording to preliminary reports, the attack was carried out by at least seven people who arrived at the scene in a car and afterwards fled towards the Mexico City. Over 20 spent cartridges were found at the site of the rampage, according to Publimetro, which further reports that two suspects were detained at the scene. At least one of those on the run is believed to have been injured in the shootout. 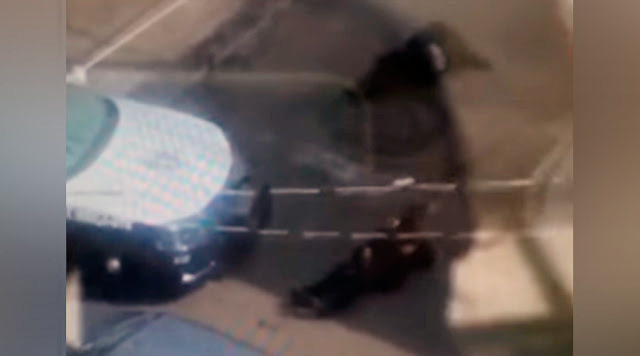 Gruesome footage of the incident, filmed by a witness from a building across the street, shows the attackers wrestling and firing at uniformed policemen, with at least two of the officers falling to the ground with gunshot wounds. At least 3 policemen and one civilian died as a result of the fire-fight, and three more people were injured, Prensa Latina reported. 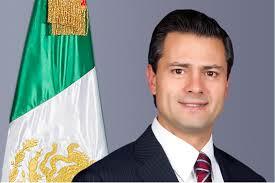 Mazo is currently running for governor of the State of Mexico for the PRI party. The elections are scheduled for June 4. “There was training for members of our party, they were taken aback by the individuals who were apparently armed with the purpose of assaulting them,” Mazo’s campaign coordinator said. The attackers, reportedly raided the premises at the time Mazo’s promoters were receiving handouts from PRI deputy Marisol Diaz Perez, La Jornada reported. While police have not released any official information concerning the motive of the attackers, the outlet cited witnesses as saying that it appeared to be be a coordinated armed robbery. After the perpetrators stormed the offices, they reportedly attempted to steal several boxes filled with money while the police were on its way to the site.